This Universal App is written from the ground up in Apple’s Swift language. The App focuses on the safety aspect of this customer’s product by using a game-format reflex test. 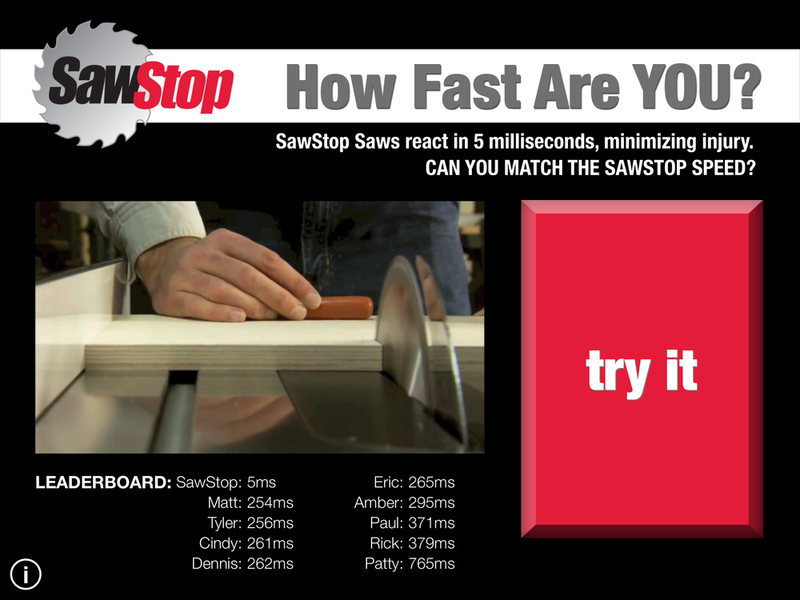 It is used for trade shows to engage booth visitors between saw demonstrations.